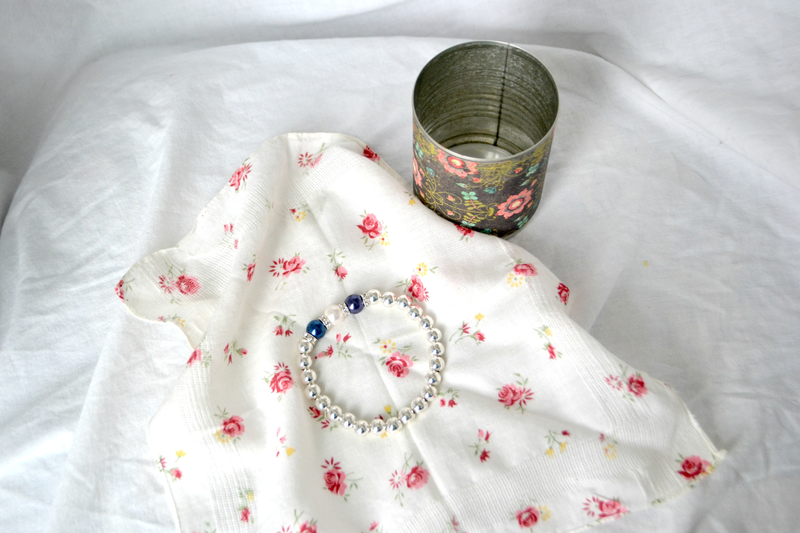 This weeks low cost Mothers Day gift idea, is more about the packaging then the gift. Sealing them in a can for your Mom to open will leave them wondering how you got them in the can! 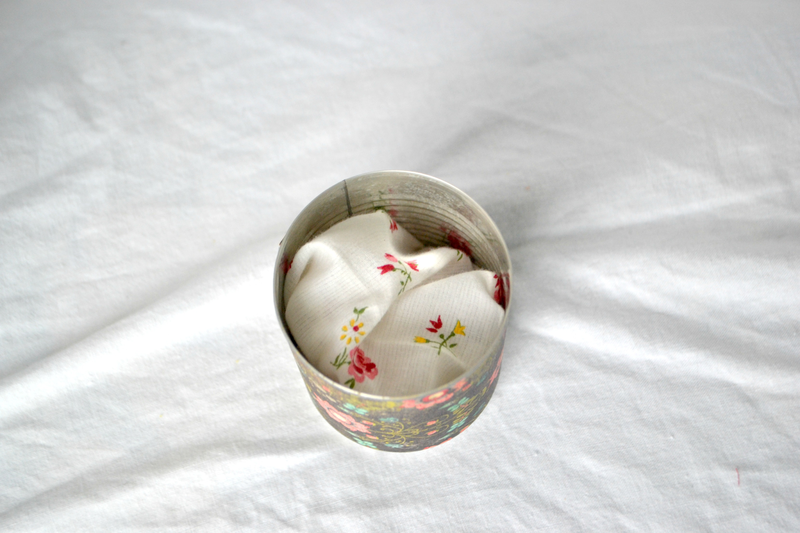 Perfect to hold a small gift such as jewelry, gift cards, scarves, candy or more. This is also a fun idea for giving money to a graduate or birthday presents too. 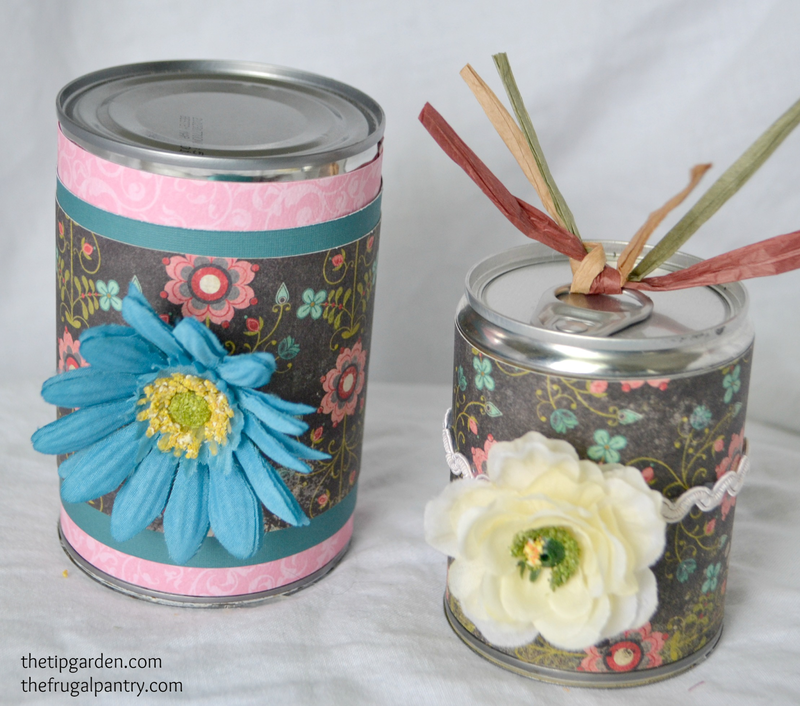 You can make it easy and use a small "pop top" style can OR you can use a regular can and make them use a can opener to open the can. It's up to you! Jan's tip: you need to make sure the bottom of the can is not a rounded edge bottom style. You want the bottom to be the kind you can use a can opener on to open. (The small 4 oz. poptop style fruit cans are perfect). 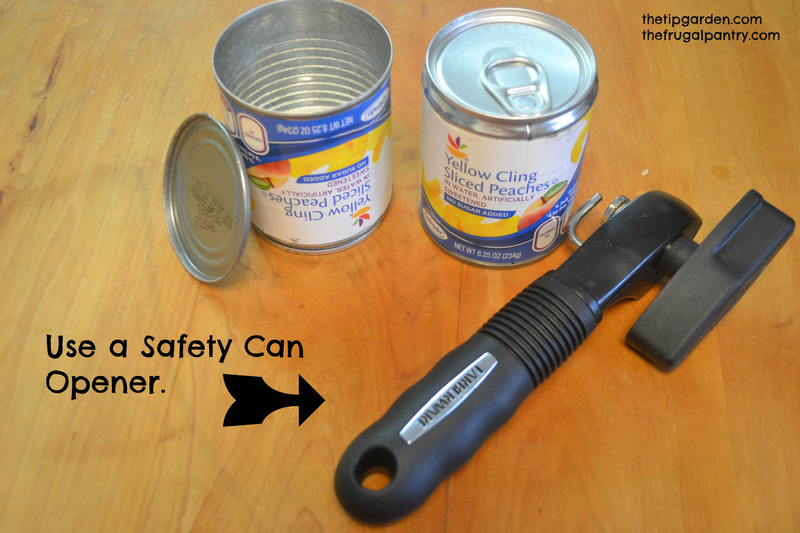 Use ONLY a safety style can opener not a regular one. 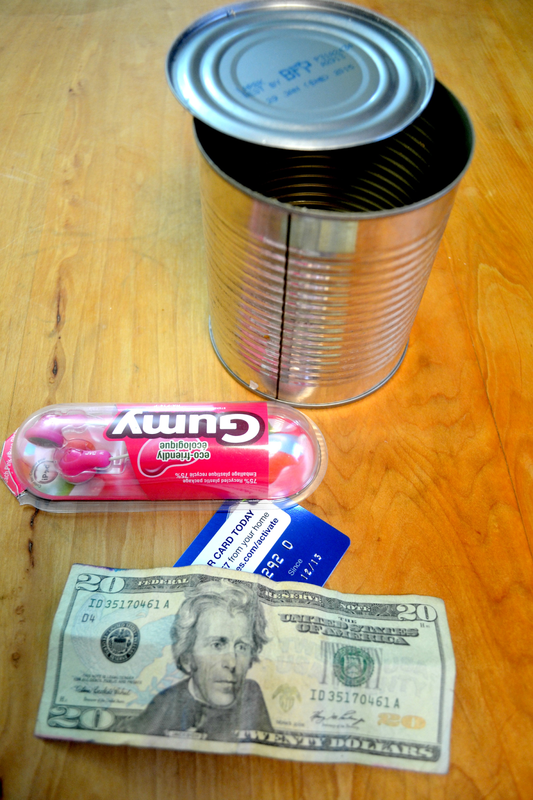 This will allow you to hot glue the bottom lid of the can back on and reseal the can. Drain out the food contents of the can. Wash and dry the can and the removed lid. Use the removed label as a template, trace around it with a pencil on the back side of scrapbook paper and cut it out with scissors. 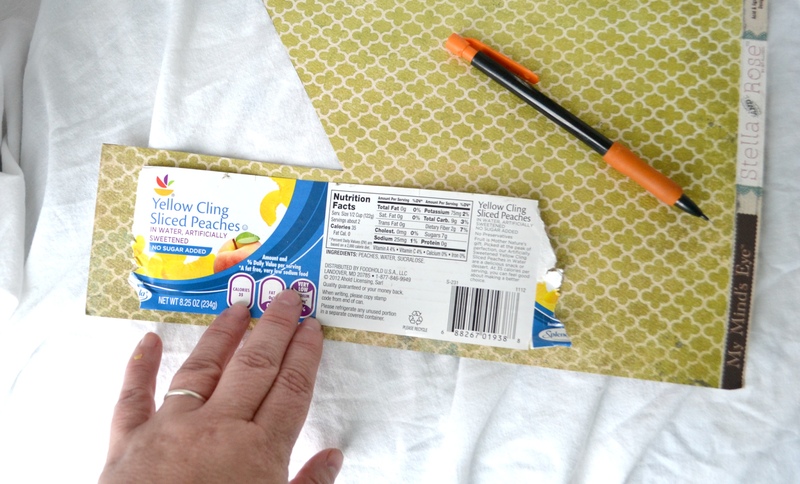 Using double stick tape or glue, glue the new paper label to the can. Stuff the gift and any confetti, etc. into can. (Remember you are putting them in upside down, from the bottom, so put in the items you want them to see first in the bottom of the can. then layer the rest of the gift). Hot glue the bottom of the lid back onto can sealing it as tightly as you can. 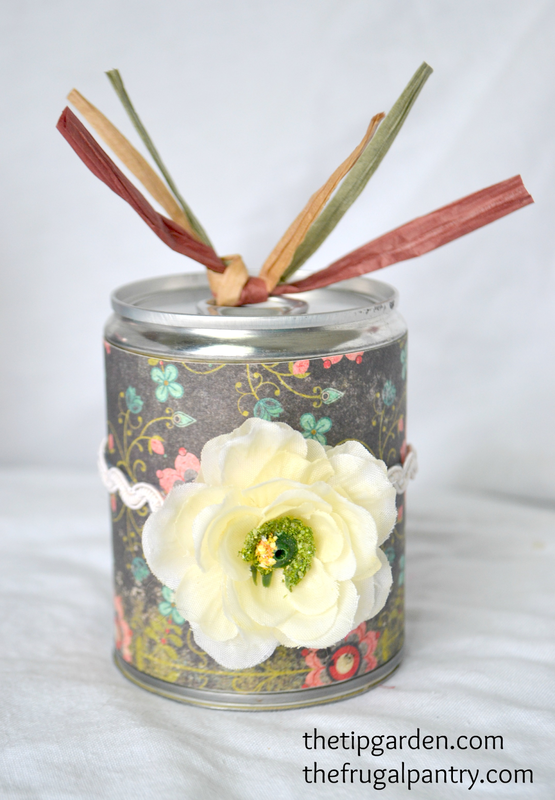 Finish embellishing can with any added ribbons and trims/tags you desire.